What If You Don't Qualify for a Travel Credit Card? Travel credit cards can make travel more affordable and a lot more enjoyable, but that doesn’t mean they’re a smart fit for everyone. For starters, there are myriad reasons to avoid credit like the plague—the potential for debt being one of them. Second, you really do need good credit—usually a FICO score of 720 or higher—to qualify for the best travel and rewards cards on the market. If your credit profile is too thin or you have had credit issues in the past, you might be surprised to get a big, fat denial when you apply for a travel card the first time. This doesn’t mean you’re out of the running for a card in the future, but it does mean you have some work to do. If you’ve struggled to qualify for a travel credit card, don’t give up! These cards offer the best available perks, but you should treat your credit with the care it deserves and take steps to improve it over time. Before you can figure out where you’ve gone wrong, you must see “where you’re at.” Checking your credit score—or, at least an estimate of your score—regularly is the best way to keep tabs on its movement. I use CreditKarma.com to check my credit score for free, and you can do the same by signing up for a free account. Once you do, you’ll find an estimate of your score and gain valuable insight as to what improvement is needed. While your FICO score is determined using several factors, the second most important is the amount of debt you owe in relation to your credit limits. If you’ve maxed out accounts or borrow a lot compared to low credit limits, your credit utilization may be killing your score. 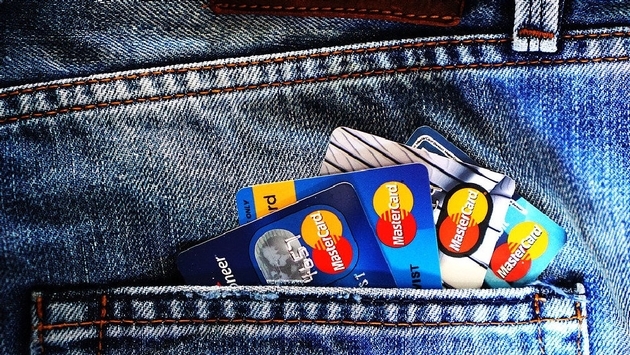 Pay off as much debt as you can to improve your credit utilization. As a bonus, paying off debt can improve your finances, too. While the amounts you owe make up 30 percent of your FICO score, your payment history takes the #1 spot at 35 percent of your score. If you’re frequently paying bills late, you’re probably shredding your score by a thousand cuts. Make sure to pay all your bills on time or early to avoid this issue. If your problem is just not having enough credit, then using more credit can fix that. Unfortunately, it can be difficult to qualify for more credit when your credit score is low and your credit history barely exists. One possible solution is applying for a secured credit card. With a secured card, you’ll pay a cash deposit as collateral and earn a small credit limit in return. If you use your card wisely, you’ll get your deposit back in the end. And since secured cards report to the three credit reporting agencies—Experian, Equifax, and TransUnion—your smart credit use can help bolster your score. Another option to consider (if you have some credit) is applying for a traditional unsecured credit card. While a regular ol’ credit card may not offer rewards, they are often easier to qualify for than a travel credit card.